Myles Bryant stood alone in the middle of the Dempsey Indoor Center, facing two sets of orange cones and 40 yards of artificial turf. The diminutive senior defensive back curled low into a crouch, slowly raising his right arm behind his body before ripping it forward in a violent blur. His gold cleats churned, his arms pumped and the 182-pounder from Pasadena coasted past a crowd of fans, assistant coaches — and more than a couple former teammates. Taylor Rapp, Byron Murphy and JoJo McIntosh were all there. The recently departed Husky defensive backs stood in street clothes, laughing and reminiscing with defensive coordinator Jimmy Lake. On the surface, the core of Washington’s 2018 starting secondary was present and accounted for at the Husky Combine on Friday. But appearances aside, Bryant is all that’s left. Now, that doesn’t mean Lake and Co. are suddenly running low on available talent. Besides Bryant, juniors Keith Taylor and Elijah Molden, redshirt freshmen Kyler Gordon, Julius Irvin and Dom Hampton and true freshmen Trent McDuffie, Kamren Fabiculanan, Asa Turner and Cameron Williams will all compete for the few available reps. The 5-foot-8 Bryant vowed on Friday to lead the next wave of dominant Dawg defensive backs. But he could have been standing here in street clothes, like Rapp, Murphy and McIntosh. So what brought Bryant back for a senior season? Of course, junior quarterback Jacob Eason will likely play a large part in any potential success. So will running back Salvon Ahmed, tight end Hunter Bryant, wide receivers Aaron Fuller and Ty Jones, defensive lineman Levi Onwuzurike, linebacker Brandon Wellington. The list goes on and on. 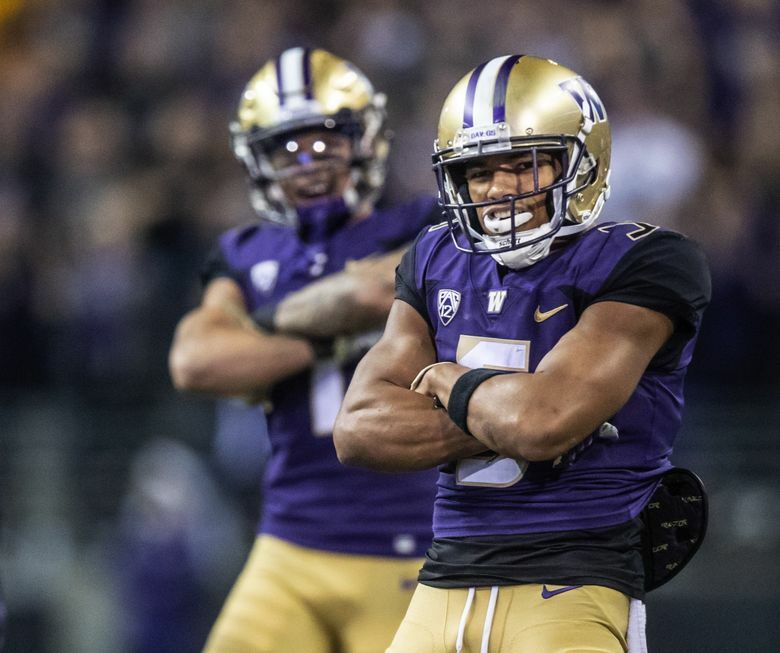 But will the 2019 team top the 10 wins and Rose Bowl appearance the Huskies produced last season? That’s the goal. It’s also one of Bryant’s foremost reasons for returning. Personally, Bryant will aim to improve upon 123 career tackles, 9.5 tackles for loss, 3.5 sacks, two forced fumbles and an interception. The accomplished nickelback piled up a career-best 61 tackles and all 3.5 sacks in 2018. Rapp, Murphy and McIntosh are all gone (even if, more literally, they’re standing in street clothes a few feet behind him). This is Bryant’s team. This is his season. All eyes are on the versatile senior. Watch out. He’s ready to run.